Thanks for your interest in ActionKit! 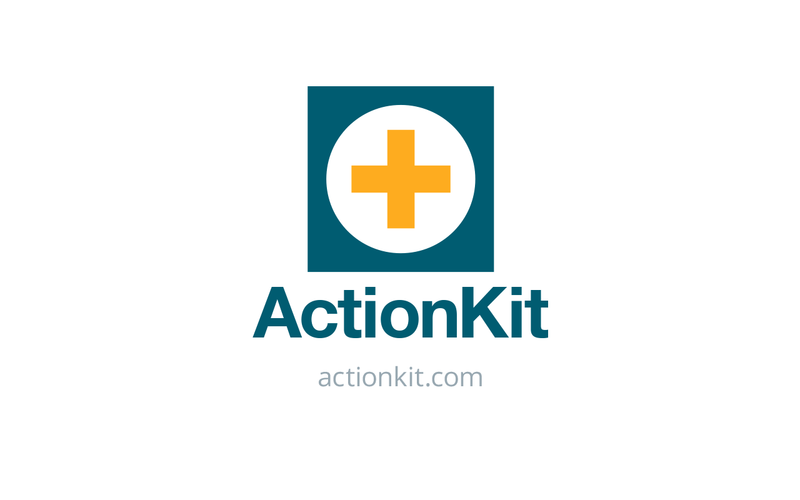 To find out what ActionKit can do for your organization, please fill out this form. We'll be in touch shortly to schedule a demo. ActionKit is advocacy, fundraising, and online organizing software, used by groups like MoveOn.org, CREDO Action, 350.org and Everytown for Gun Safety to raise money and win campaigns. Read more about our features. ActionKit is a product of We Also Walk Dogs. Like the protagonists in the short story by the same name, we make the easy things easy and the hard things possible. ActionKit is only available to progressive organizations and campaigns. We charge a monthly subscription fee that's based on the number of mailable email addresses on your list, plus a one-time set up fee. The subscription fee starts at $995/month for groups with up to 50,000 email addresses. Get in touch for our complete pricing breakdown. What if I only use part of ActionKit? ActionKit is all one product. All clients have access to all features and to the same responsive support. It is not possible to pay less for limited functionality. Do I need to know SQL or have software developers on staff to use ActionKit? No. You have the option of accessing your data through a mySQL connection, but this isn't required. You can use our point and click query builder to generate sophisticated reports.